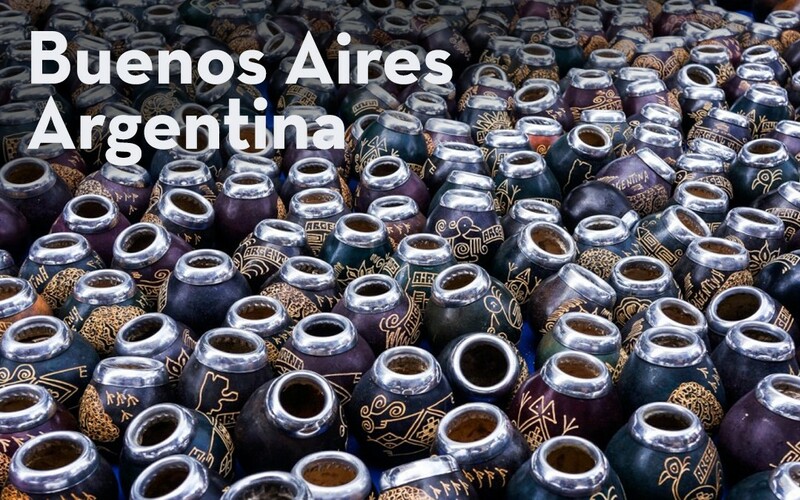 Buenos Aires is a massive city with something to offer for everyone’s taste, but with so much to do, it can become overwhelming. You have to spend some time there to really give it chance and understand what it’s all about. 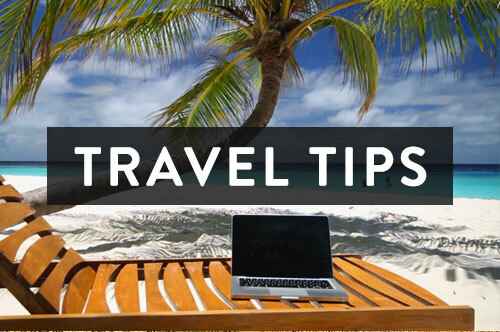 We would recommend no less than 4 days and do your research prior..it’ll make a huge difference to your stay. 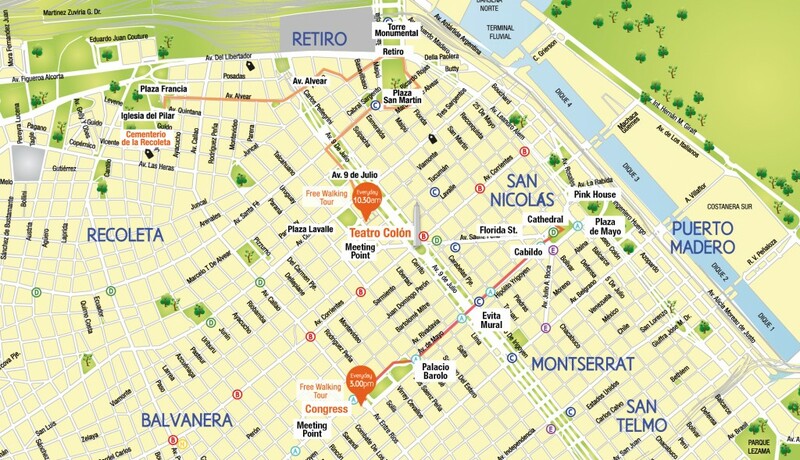 Below is our advice and compilation of the best things to do in Buenos Aires based on 10 days there. 4 days at the start and then 6 days at the end of our 3 week trip through Argentina. Where do you stay in such a huge city? 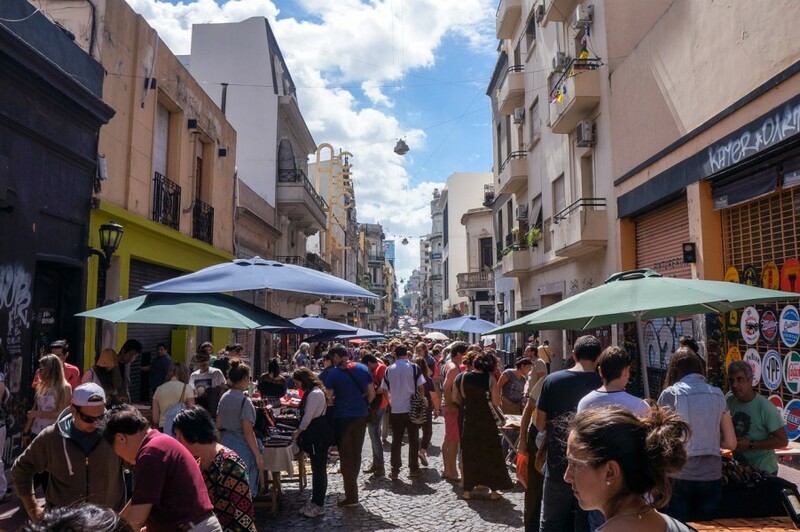 Palermo is the cultural centre of Buenos Aires, but it’s huge! Way bigger than it looks on a map. In fact, Palermo is divided into three parts: Palermo Chico, Alto Palermo and Palermo Viejo (further broken into Palermo Soho and Palermo Hollywood). Alto Palermo is known for its museums and parks, whilst Palermo Chico is much less visited by tourists and has many of BA’s mansions. 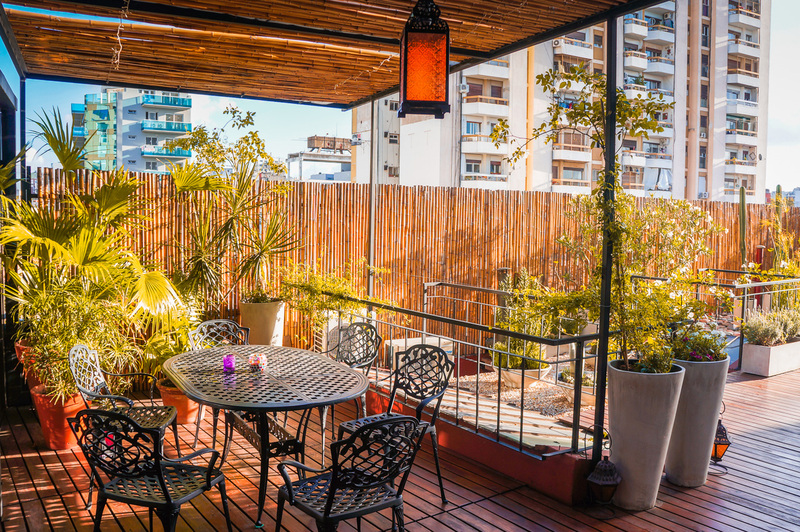 Palermo Viejo is where you’ll encounter the most lively part of Palermo and where we recommend staying near. Both Palermo Soho and Palermo Hollywood have an abundant amount of cafes, boutique shopping, bars, parks, cobblestone streets and outdoor markets. Staying in Palermo is very central to the rest of the city and most places can be reached by either metro, bus or walking. 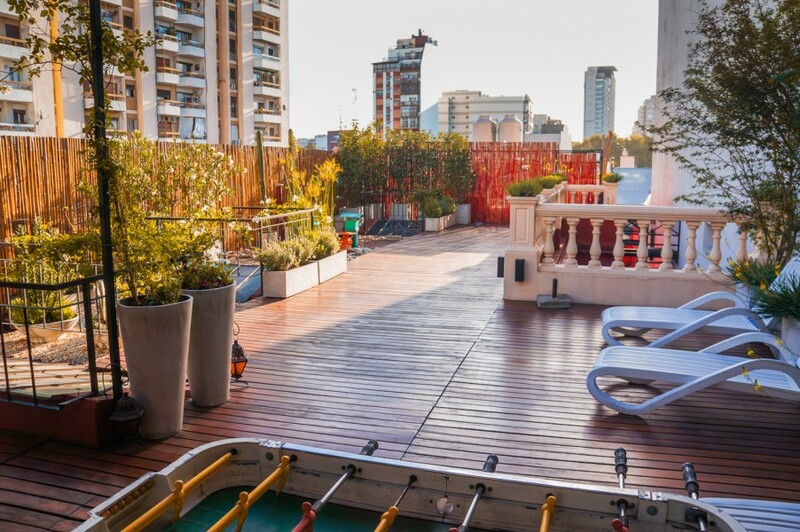 Whether you’re alone, with a couple or a friend, we can highly recommend renting a room through AirBnB at Daniels house which is an apartment complex of about 5 huge rooms with a garden rooftop terrace, run by BA local Daniel himself. It was walking distance to most places and he helped provide a local’s perspective on the city. 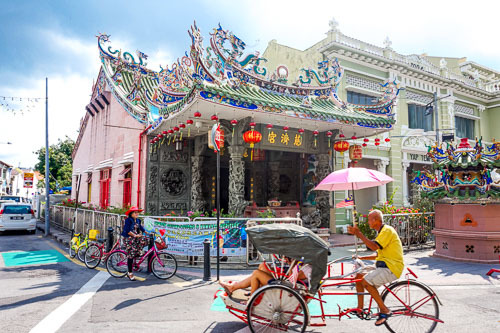 If this neighbourhood doesn’t tickle your fancy, then check out the many other neighbourhoods this city has to offer, there’s bound to be one that is appealing to you. 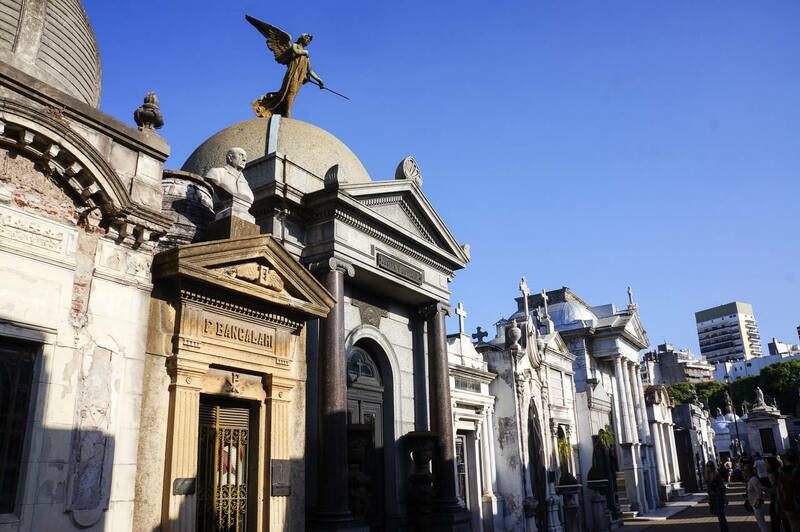 There are some cemeteries that are definitely worth a visit (free) and this is one of them, in fact, CNN listed it among the top 10 most beautiful cemeteries in the world. The cemetery is a massive 14 acres and contains 4691 vaults, all of them above ground. It would take you hours to admire each every stone or should we say ‘house’. Some of the vaults contain the graves of very notable people, including the presidents of Argentina, Nobel Prize winners and the founder of the Argentine Navy. 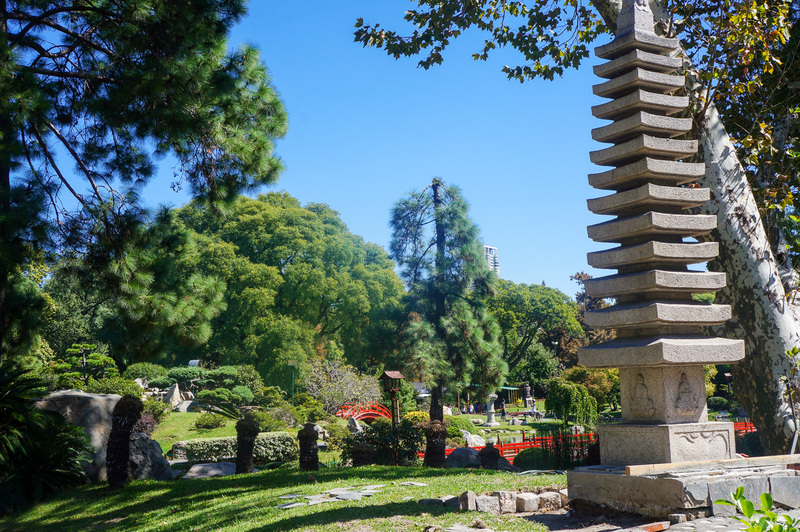 If it’s a nice day, there is a beautiful park outside the cemetery to enjoy a relaxing afternoon. 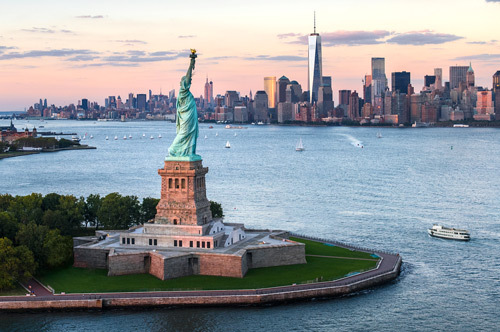 Free walking tours are a great way to orient yourself to a big city. Free Walks Buenos Aires run daily free tours throughout the city in the morning and the afternoon. 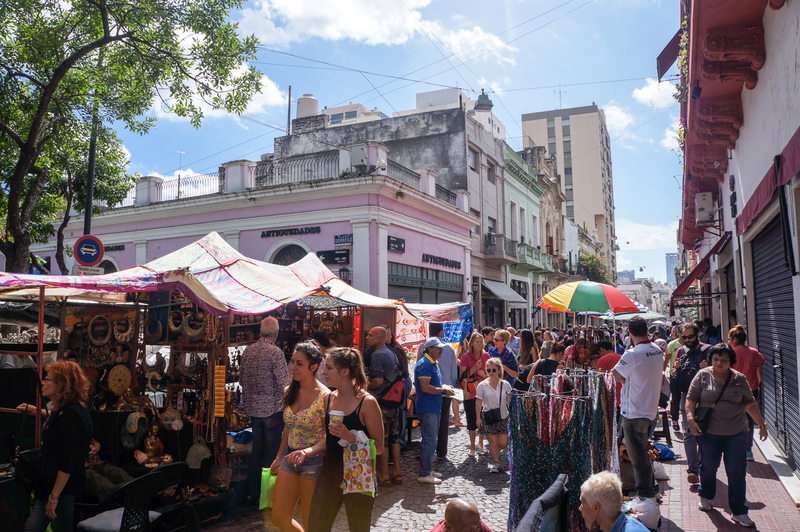 Both tours take you to different parts of the city and you’ll learn a lot about the history of Buenos Aires along with some entertaining stories/myths of the city. No need to book, just show up at the designated time. Also, see Guru Walk for other free walking tours. There’s no doubt that Argentinians are head over heels for football. It’s their way of life. Unfortunately, we didn’t have the time to make it to a match but we wished we could have. Compared to other sports worldwide, Argentina doesn’t make it easy for tourists to obtain tickets to football matches. 80% of tickets are sold by season passes so unless you plan to go to every game, individual tickets are hard to come by and if you do find, then they are likely to be extremely pricey through tour agents. 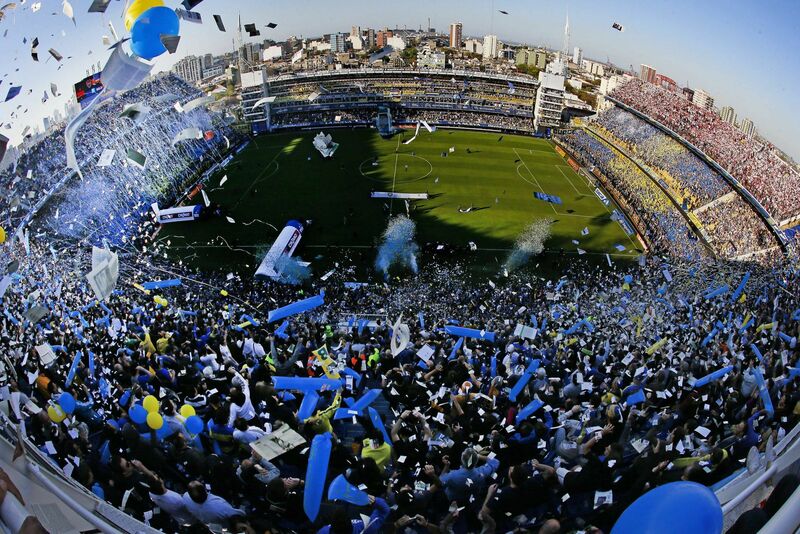 Some tickets can be bought for the games at La Bombonera for the Boca Juniors, but due to some recent violent at the games, these games only allow local supporters. Tango, Tango, Tango! 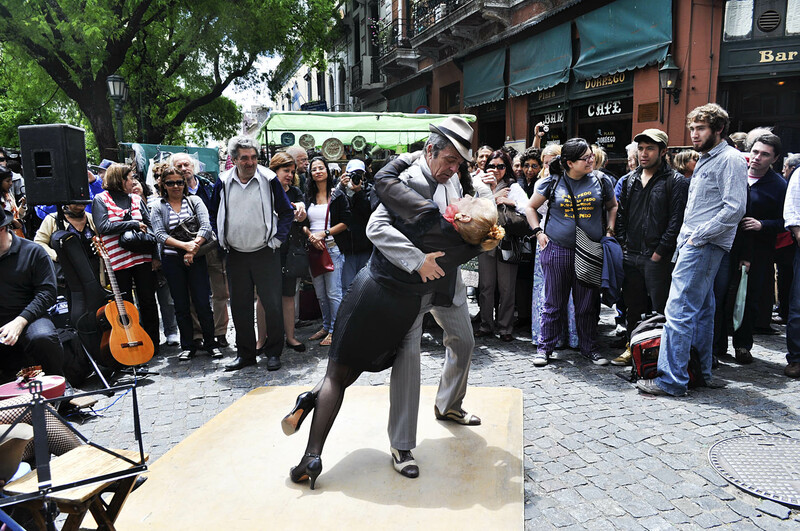 Buenos Aires is full of Tango, after all, it is where it was born. 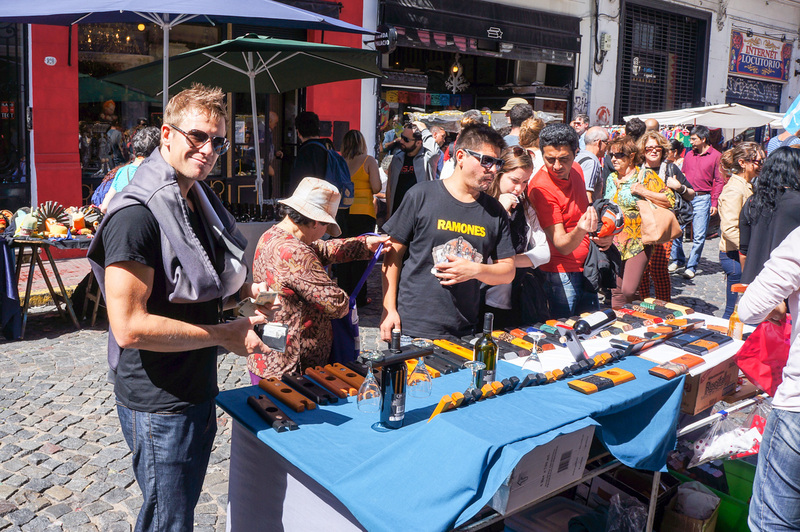 Every night of the week you’ll have something related to tango around the city whether it be lessons, shows, performances or even in the street. It really is everywhere. 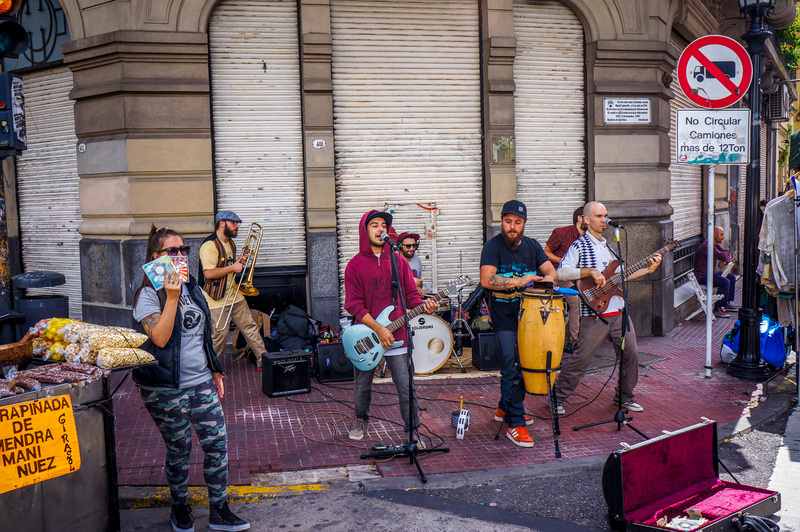 We saw tango performing on the street a few times especially in San Telmo where a lot of the tango places are located. 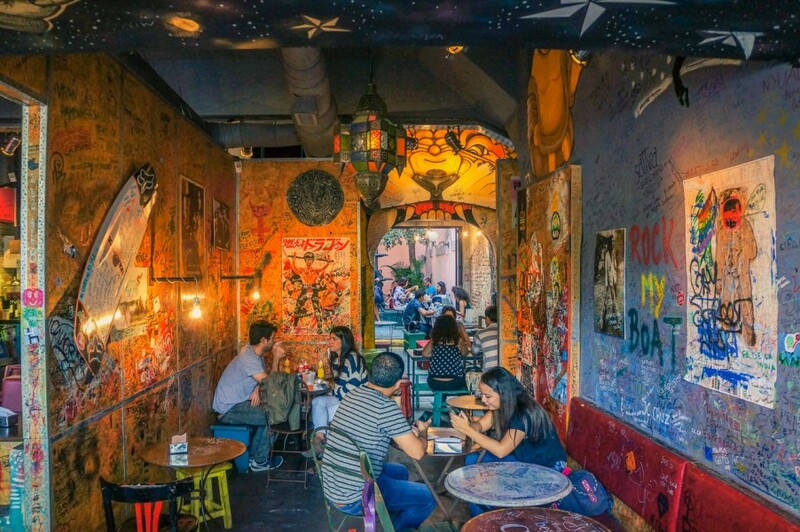 In Palermo, La Catedral is a very local, low key place that has lessons beginning at 7:00 pm and shows from 12:30 am onwards (they really love their late nights here!). 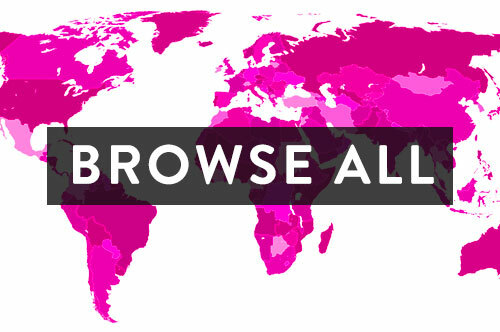 In BA, there are a variety of ways to view tango; shows with dinner, shows without dinner or taking part in the lessons or going to a milonga. The tango show productions are usually more directed at tourists so expect higher prices for these. 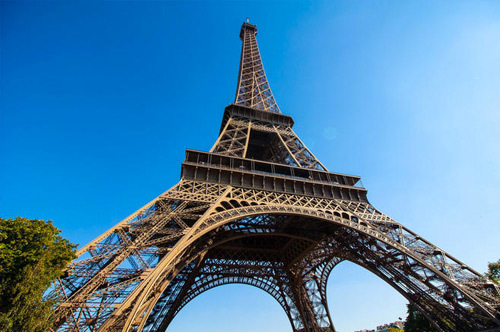 For a better understanding of Tango and different shows around the city, check out this blog. For a local and authentic experience, we recommend finding a milonga near where you are staying. They are everywhere! 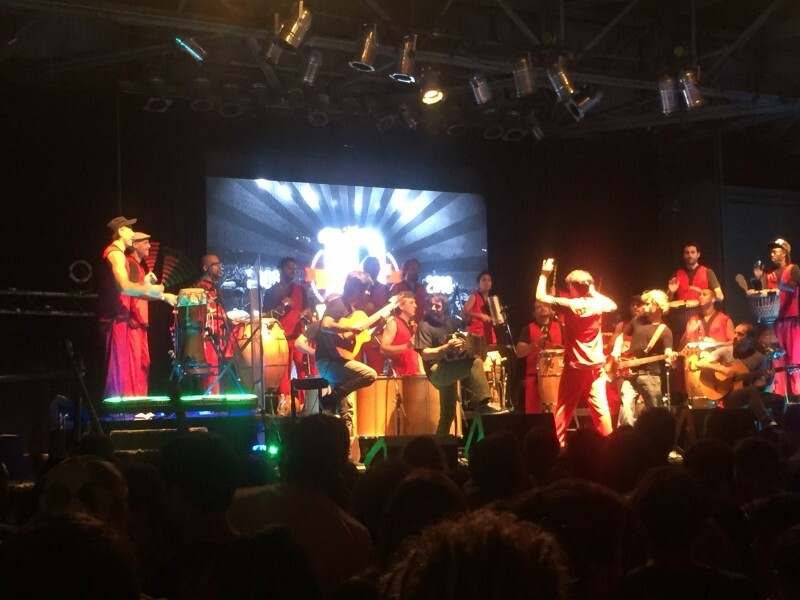 Another awesome show that shouldn’t be missed is the drumming fiesta, La Bomba De Tiempo showing only on Monday Nights from 8 pm – 10 pm. 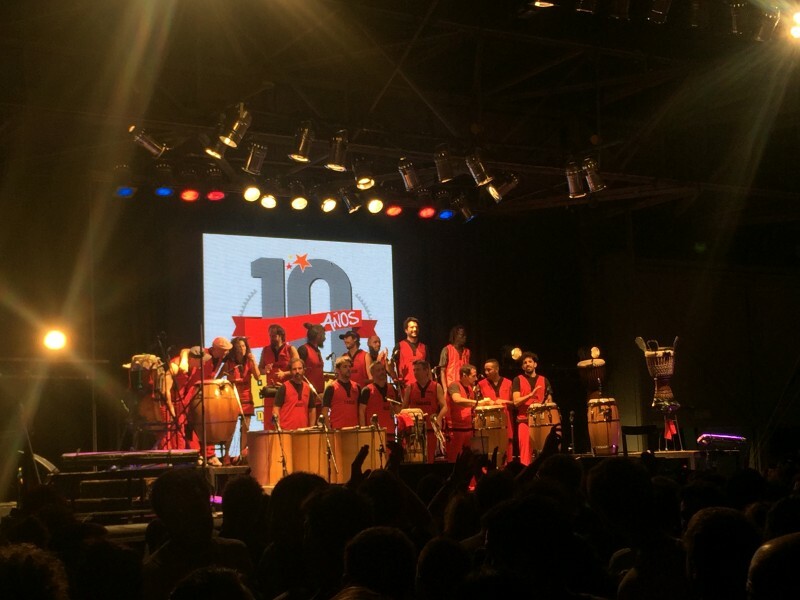 It’s made up of 16 percussionists who feed off the audience and never repeat the same song. The director uses over 70 hand signs in a code to create the music with the musicians. Tickets can be bought online or at the door for 110 ARS (USD $7). 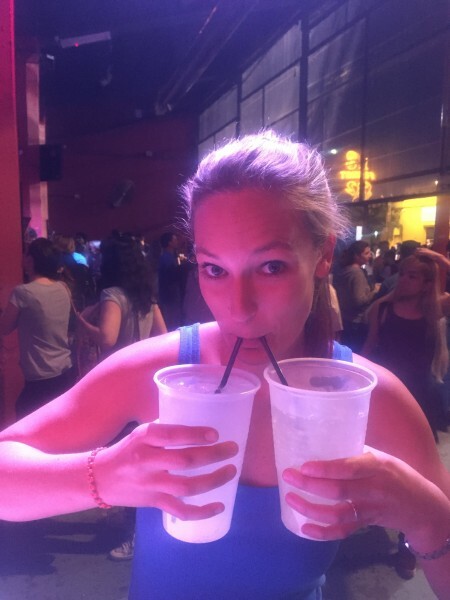 They have a fully stocked bar with cups larger than my head. Definitely, don’t miss this Monday night show! After the show is a free after party at a club nearby, in which they will hand out wristbands for. This show originated in Buenos Aires in 2003 and whilst we didn’t see it in BA, we saw it in NYC where it still takes place. 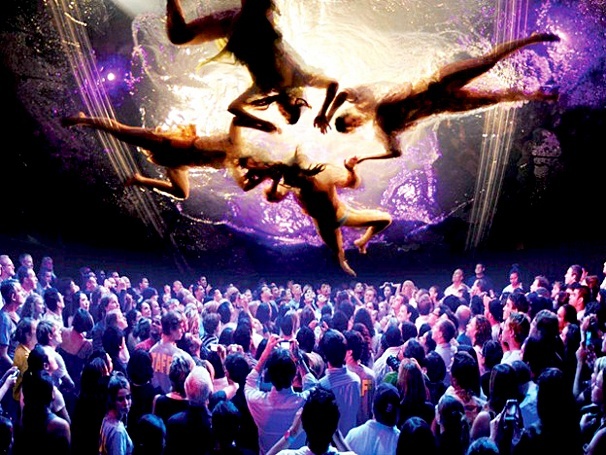 Fuerza Bruta is a very unique show that involves a lot of aerial moves, water, live music and a whole lot of theatrical energy. Be prepared to stand up for the duration of the show (65 minutes), get a little wet and constantly be looking up! 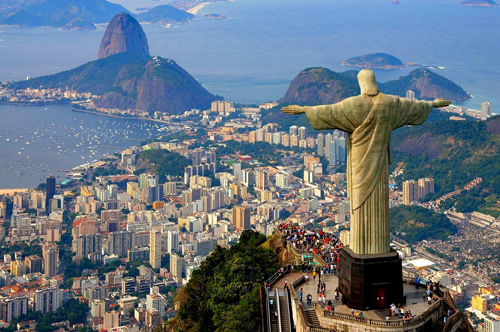 It is definitely worth a visit if you are visiting either of these cities. 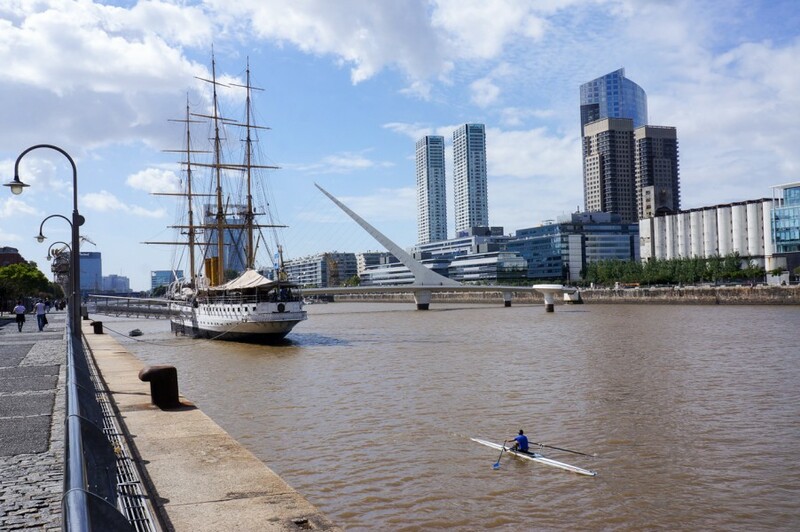 Once used as the main port for European Trade, the Puerto Madero is where many people come to relax along the water, stroll up and down the promenade or eat at one of the many different restaurants and bars. If you need your American fix, TGIF is here too ;). 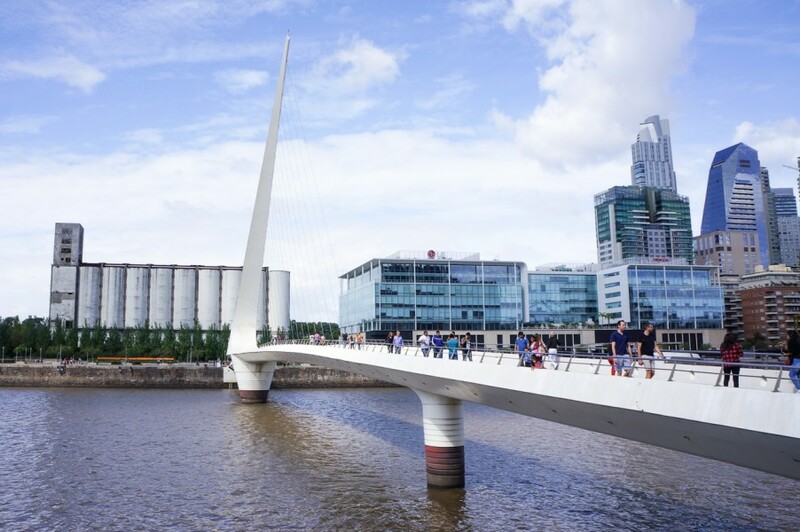 The first thing that caught our eye is the architecture of the Puente de la Mujer bridge. It’s impossible to miss. 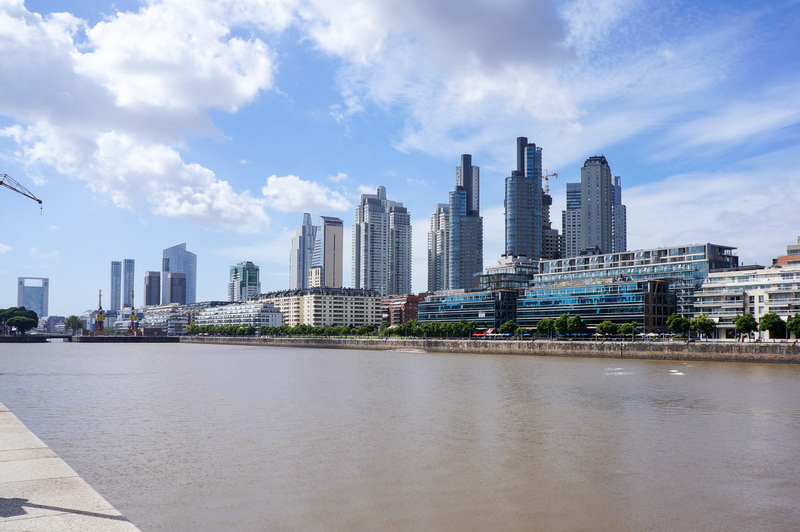 These days there are many residential and office high rises surrounding the port, much more modern than many other neighbourhoods in Buenos Aires. Hotels in this area are much more expensive. If you have the time, it’s worth visiting the reserve that lays between the Puerto Madero and the Rio de la Plata. Over the weekend, there are many people out and about and you can find well-maintained trails through the reserve to walk or cycle your way to the waterfront. This is a MUST do when visiting BA on a Sunday. 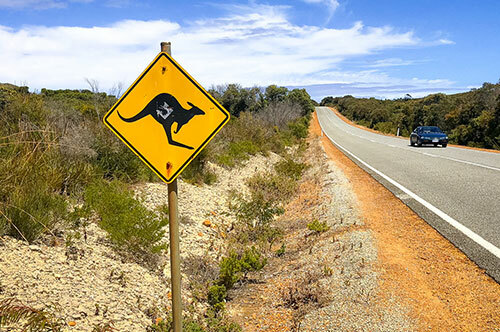 We’ve seen our fair share of markets in the last year but this was one of our favourites. They have a very wide range of things along with an atmosphere that is contagious. Tango dancers fill the square with impromptu dancing, stalls are selling antiques, art, mate (tea), quirky creations and clothes. 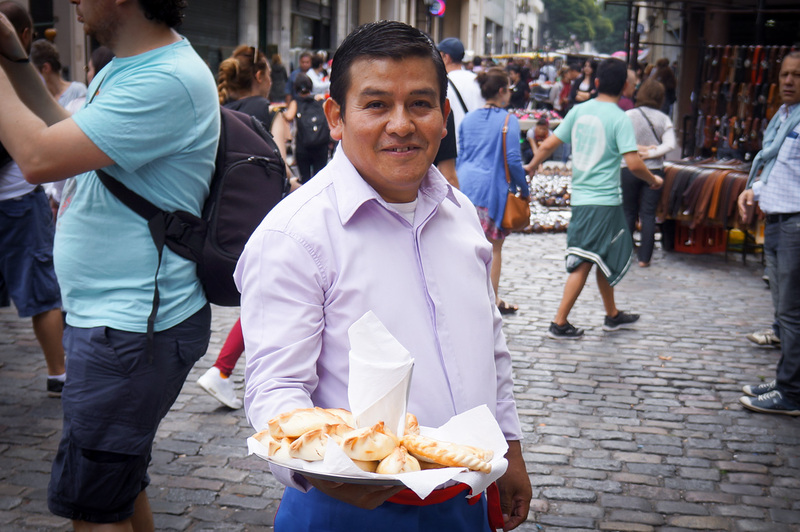 If you’re hungry and don’t want to stop shopping, many people walk around selling empanadas for $1 USD. I’ll take 3, please! 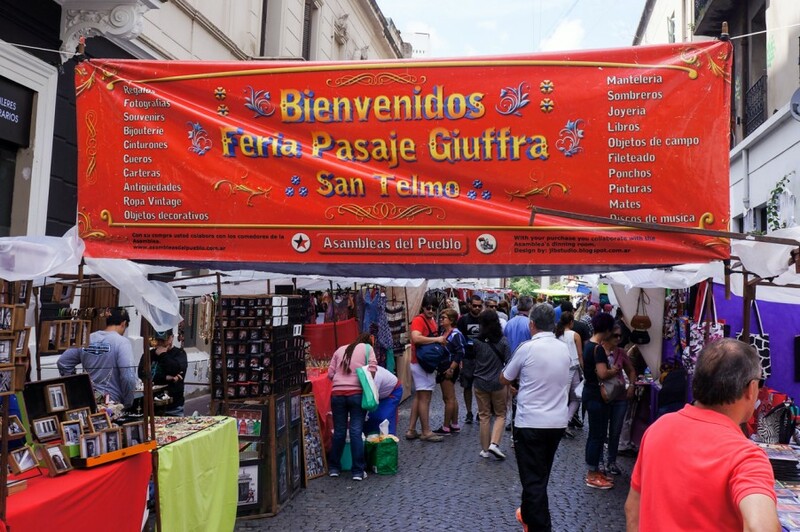 San Telmo is easily reachable by metro and is a very pleasant place to wander around the cobblestone streets. For a quick lunch, El Banco Rojo is awesome or try Cafe Rivas has the most delicious vegetable tostada ever. 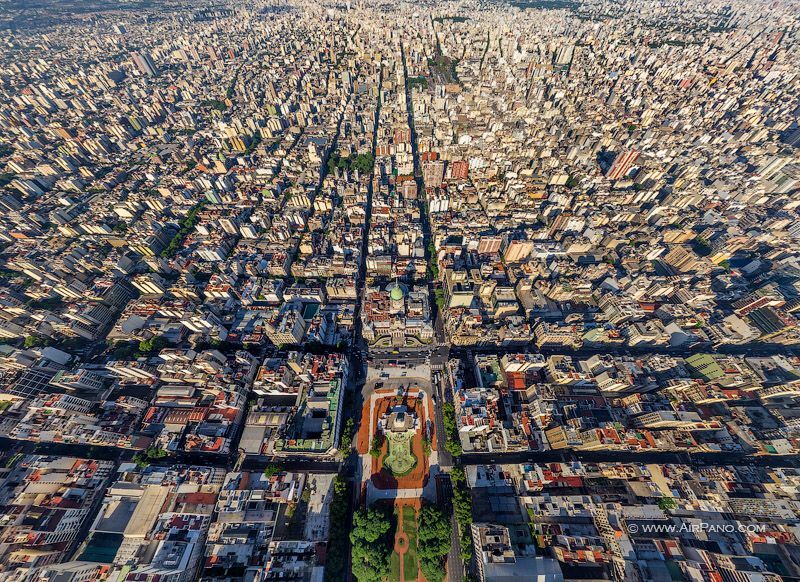 Plaza de Mayo is the main square in the Monserrat neighbourhood and it is surrounded by some of the most important buildings. It is very different walking around here than it is in Palermo, a complete change of pace and scenery. 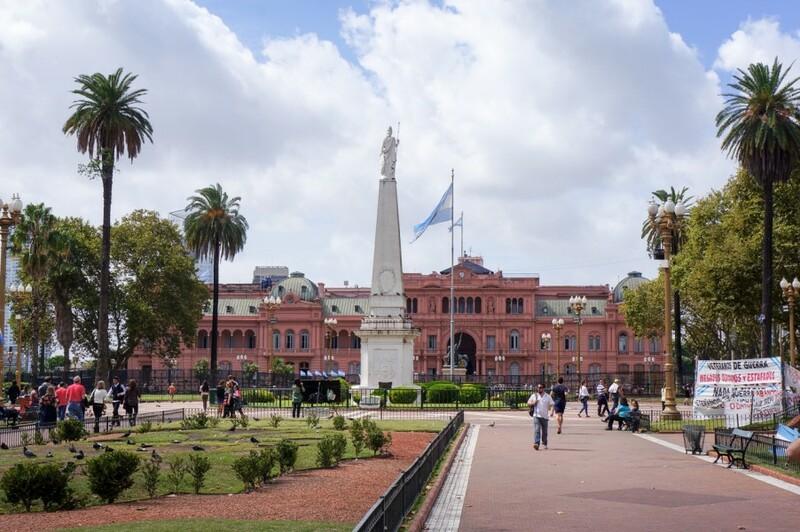 From here, you can see the famous La Casa Rosada, also known as the pink house in English. This is the executive mansion and office of the President of Argentina. It’s worth a stop here if anything just to see the dramatic change of neighbourhoods and the historical buildings. Every big city has a park. 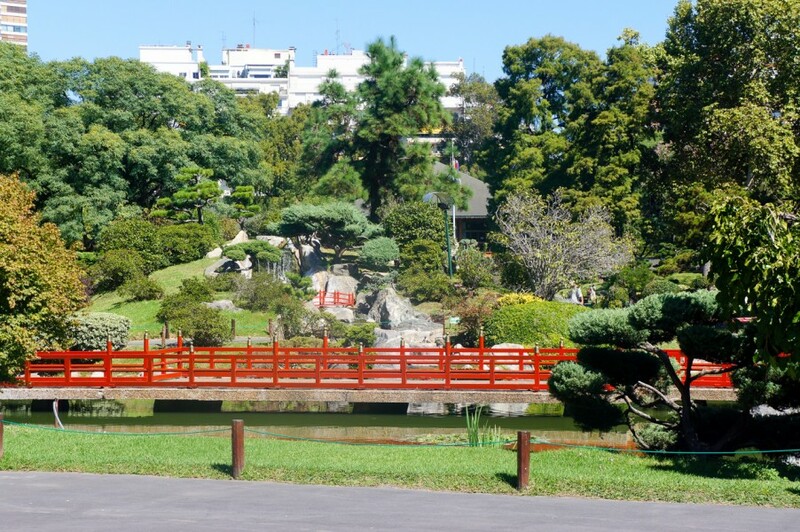 This park, Bosques de Palermo, in particular, was extremely big and had a range of places to visit, grass areas to relax or picnic on, running tracks, lakes to feed the geese or rent pedalos. There’s something for everyone in here and on the weekends you will find many people in the park. 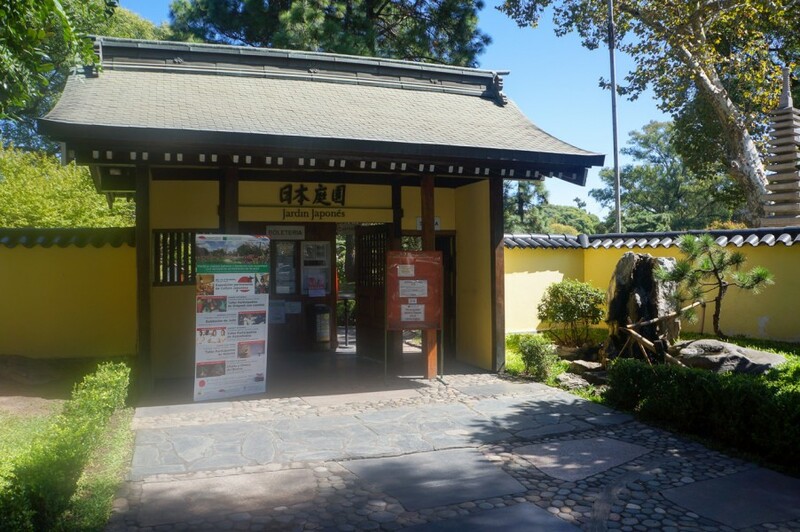 Located on the outskirts of the park is the largest Japanese Garden outside of Japan and you can visit for 70 ARS ($USD 5). 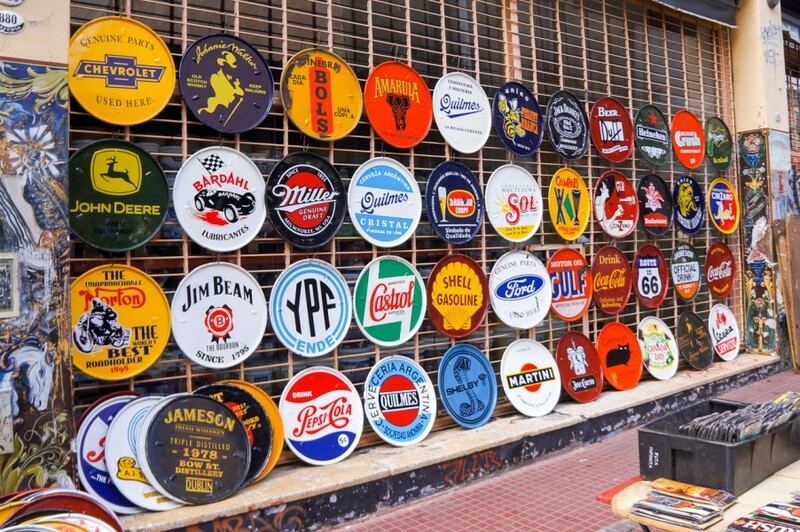 Note: These are all located in Palermo Soho or Palermo Hollywood. 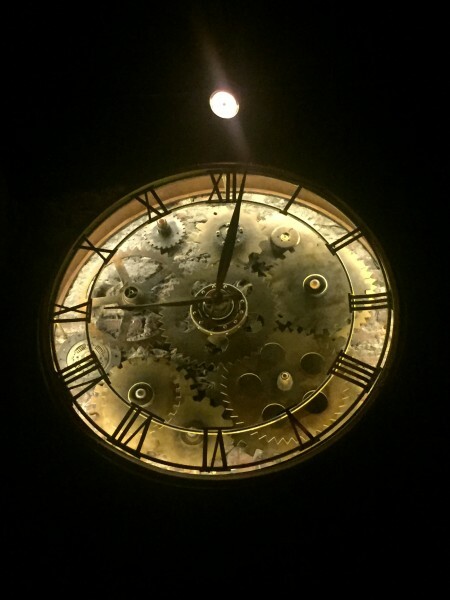 Many only take cash and dinner in Argentina isn’t eaten before 9:30pm…at the earliest! Plaza Serrano is the main hub in Palermo for bars and restaurants. Don’t miss it. It’s a great place to meet for the night and you’ll never run out of places to try surrounding the plaza. 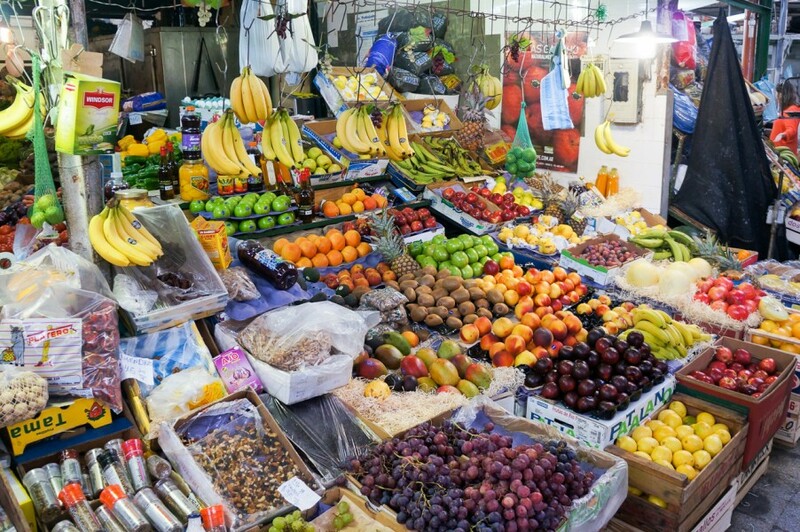 On the weekends, there are markets and during the evening it becomes very crowded with lively cafes and party goers. 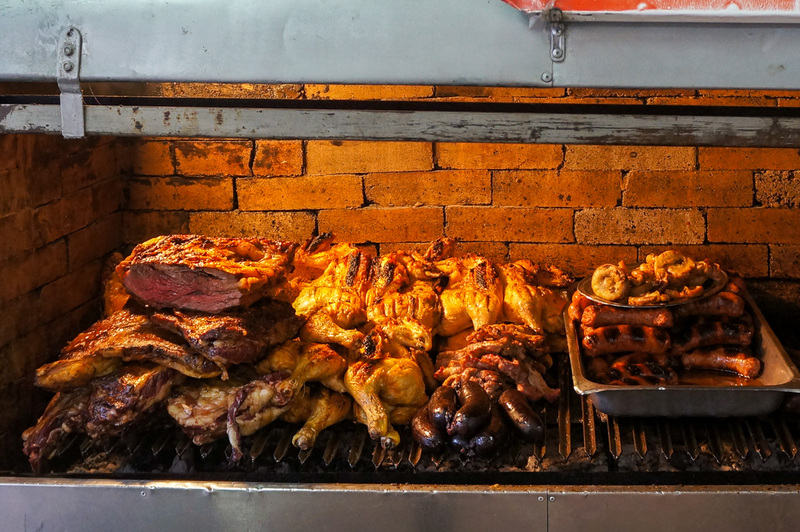 Parrillas – A Parrilla is the most authentic style of restaurant in Argentina and typically they serve almost exclusively meat, with a small selection of sides. 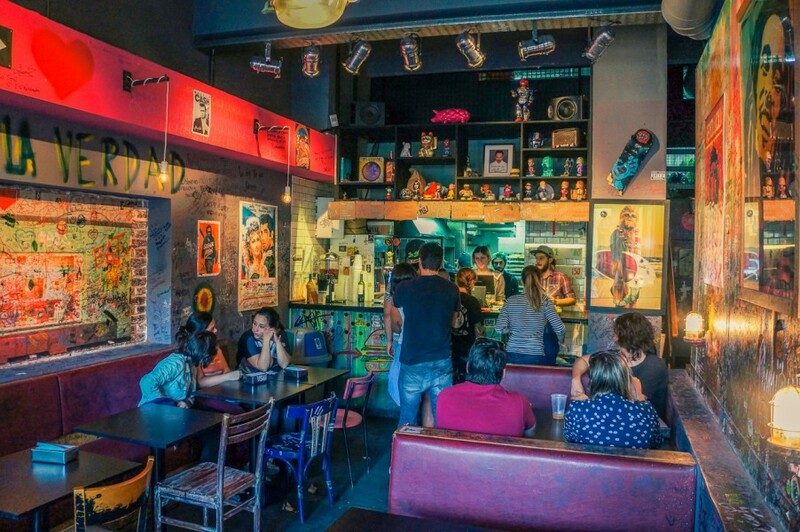 Prices range greatly due to the quality of the meat and the type of restaurant but you will not find a shortage of these types of restaurants in Buenos Aires and you should most definitely try more than 1! 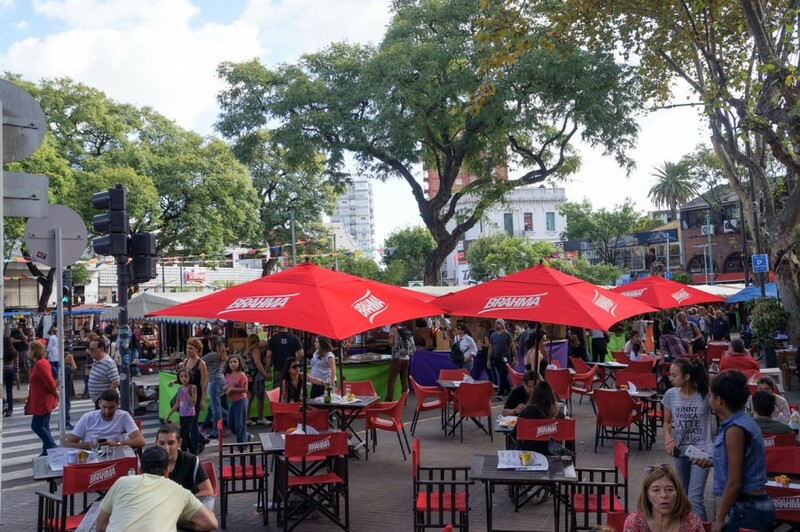 Don Julio – Another very famous Parilla in BA. Be prepared for the long wait but enjoy the free champagne they give whilst you do. La Cabara – A very popular Parilla. 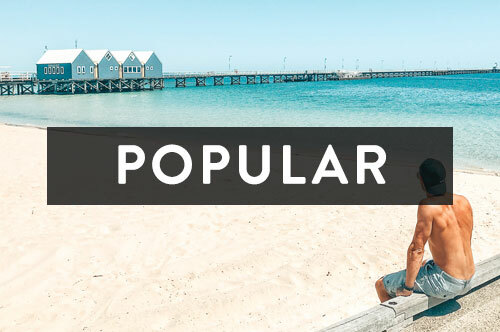 Popular with tourists over locals but definitely not a restaurant to disappoint. Las Cabras – A much lower key Parrilla with more affordable prices. Long waits for dinners but reasonable for lunch. Big portions! 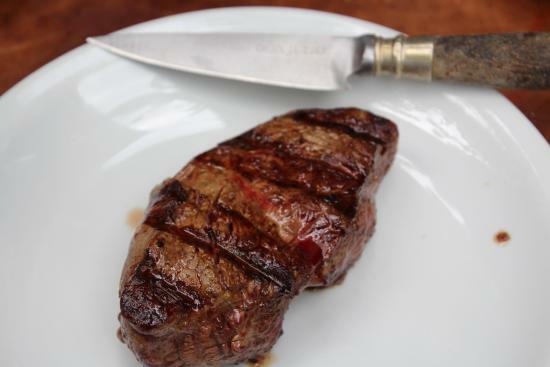 Calden Del Soho – Reasonably priced Parrilla with an open kitchen to see them work their magic. The provolone cheese is a MUST here. Mmm cheese. 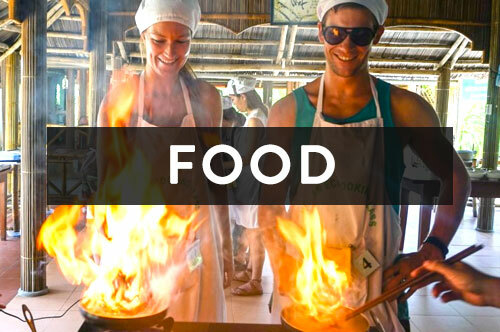 Unfortunately, Argentina does not have a huge street food culture like a lot of other Latin American countries. 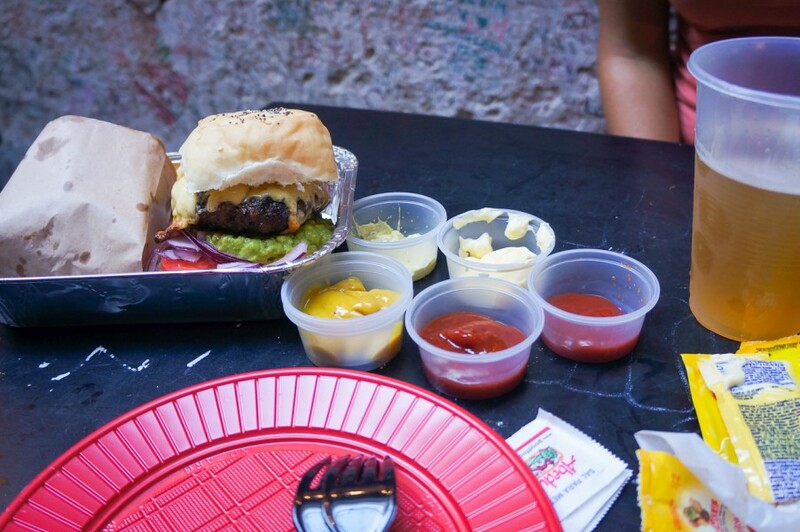 Damn, you know how much we love the street food! 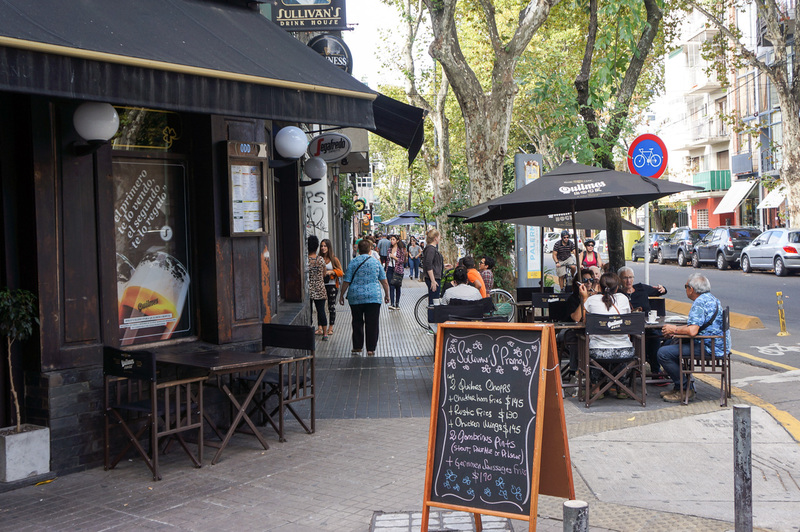 It is much more common for people in Argentina to eat at the table, not on the go. 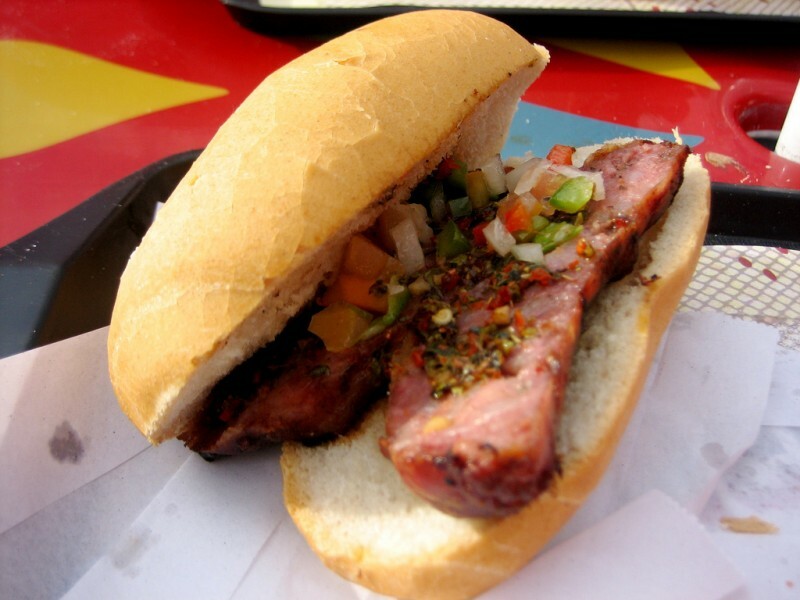 However, one of the few street foods that do exist in the country is choripan, the famous sausage sandwich. Magdalena’s Party – Perfect hangover food which works for their name. Rated one of the top places for brunch in BA. Low key. Nininia – Delicious bakery, great for brunch, a little more on the expensive side but worth it. El Tejano – Meat, meat and more meat. Texas BBQ with a menu that changes daily. Best to make a reservation, they are always full. 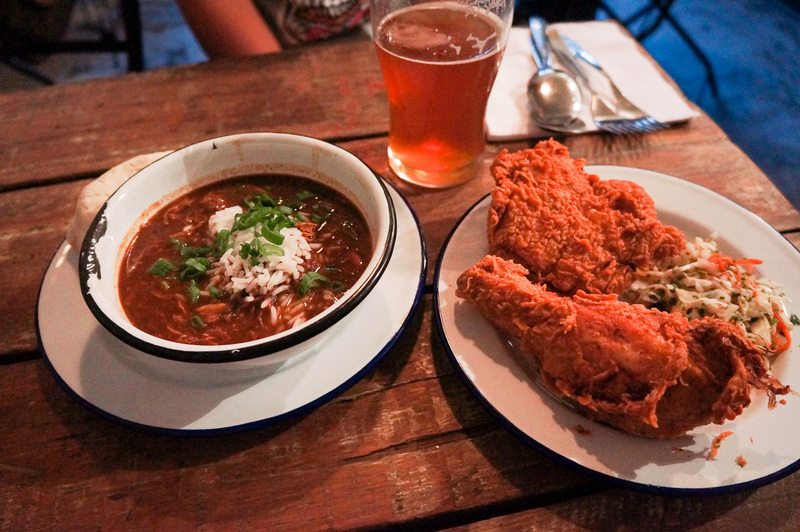 NOLA – The best-fried chicken ever! Nice beer too. Fun, funky atmosphere with friendly staff and reasonable prices. Gets busy after work for happy hour. Brandon’s – Very hip funky place specializing in brunch. Big space, friendly staff and AMAZING food. Fukuro Noodle Bar – Sick of steak and grilled meats? Try Japanese. The perfect choice to mix it up a little! El Club de la Milanesa (in San Telmo) – Awful service here but the food was delicious and very reasonably priced considering its touristic location. Chicken or veal schnitzels with a range of different toppings. The Harrison – A password run speakeasy. 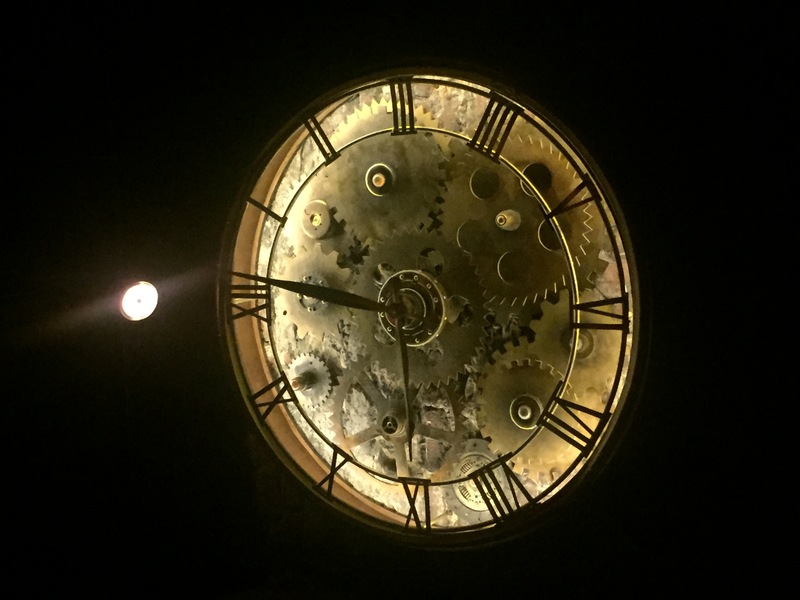 Victoria Brown – Super cool speakeasy with a funky moody industrial interior. We couldn’t even work out how to get out of here! Verde – Classic cocktail bar, drinks made with a slight show. 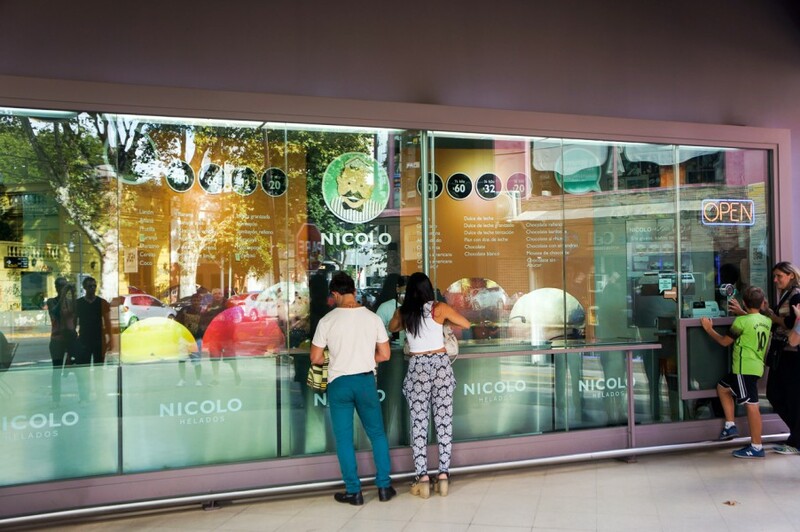 Nicky NY Sushi Bar – Make sure you have a reservation before heading here especially on the weekends. Order 500 ARS of food and they will take you to their cellar and secret speakeasy, only accessible to guests and people who know the password. Steves Bar – Classy bar with a nice garden outdoor setting. Popular for their jug cocktails. 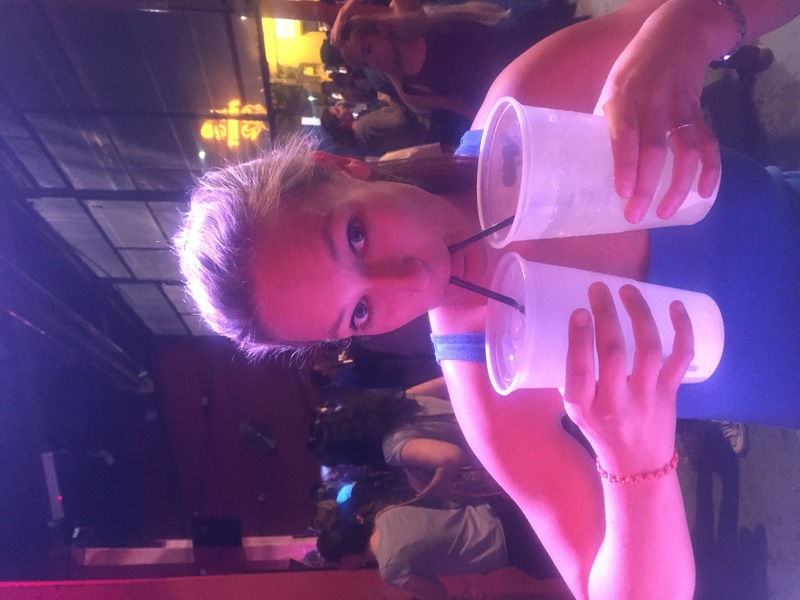 Temple Bar – Irish bar with a busy atmosphere, a DJ most nights and an outdoor area. Decent prices for drinks. Esquina Libertad – Unpretentious hipster bar with a nice rooftop. On Tap – Popular bar selling a variety of beers on tap and wine (which they will fill to the brim). Often very busy on the weekends, you’ll have people spilling onto the streets. Cerveza Antares – A wide selection of beers on tap, lively atmosphere with happy hour. Be sure to get there early during happy hour, the doors can close if it reaches capacity early. Kika – A younger crowd here. Ink – Funky club, they hand out free wristbands on the street before 12. Lark – Nice club. Small entry fee at door. Only accepts cash. Belushi – Martini Bar turn club with a rooftop. Club One – Huge club near Central BA. Their main party is on Sunday nights. LatteNte – Jacob swears this is the best coffee he has had in South America. It may have something to do with the fact they also have delicious desserts to go with it. 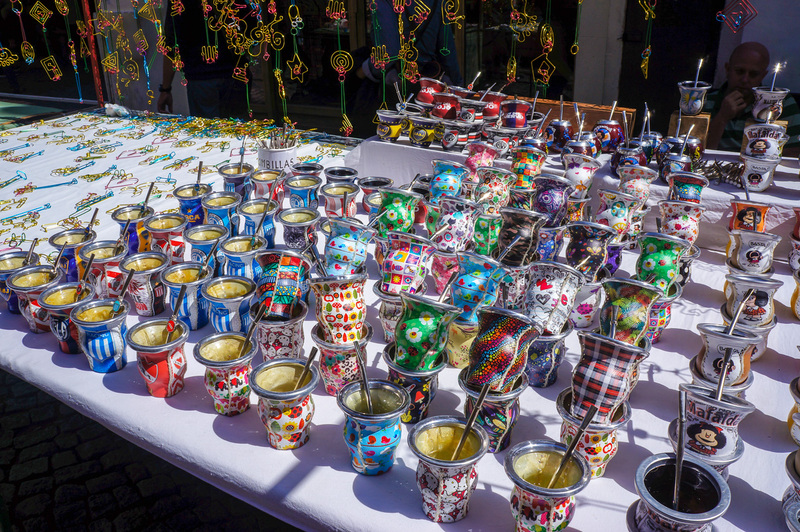 Mate – No trip to Buenos Aires is complete unless you try mate, a traditional South American caffeine-rich infused drink. It tastes quite bitter and is definitely not for everyone! Nearly every Argentinean you see will be drinking this at some point in their day. 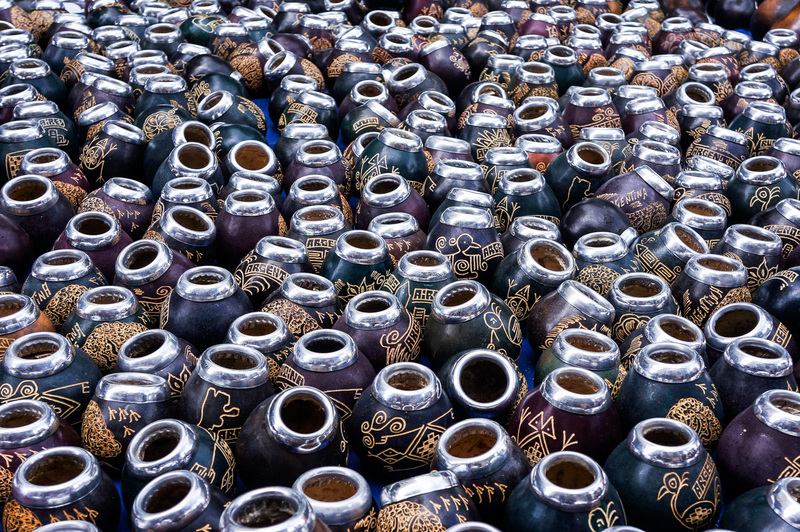 It’s a very social drink and often one person brings it and shares it with everyone in their group. 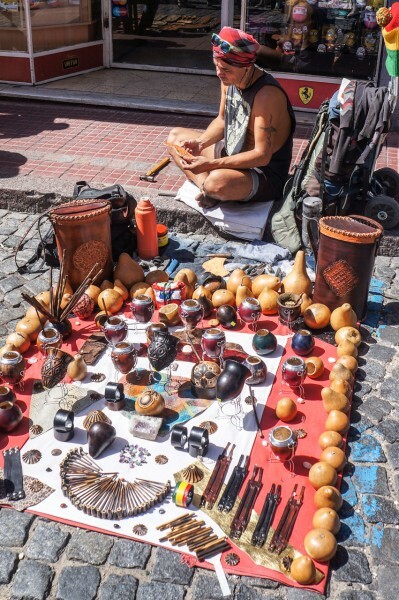 When I asked a local Argentinean friend what mate meant to them, this was their response “You gather up, generally in a circle and you talk, Mate is like a shrink, in the circle you share your problems with each other and everyone is very calm and happy”. Hmm, it seems with this list we really got around Buenos Aires in the restaurant/bar department. This is probably the most we have eaten out in a whole year! Whoops! We can’t believe Buenos Aires was the last our of South American adventures! 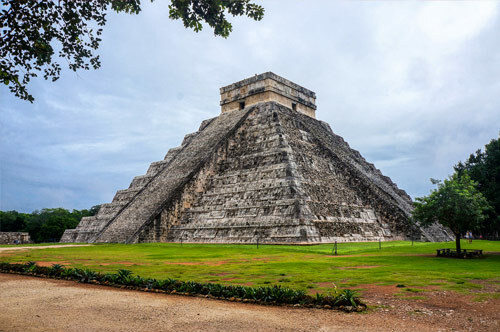 The 6 months we spent exploring Central and South America flew by so fast and we definitely experienced more than we expected. It’s such an awesome continent with such a diverse culture in every single country. 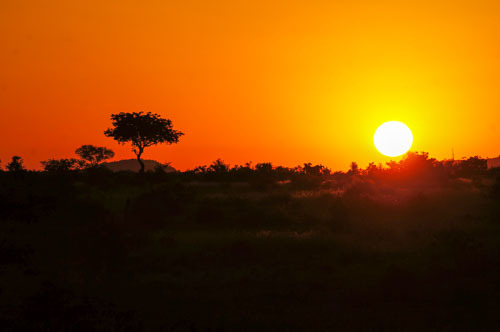 By the time you read this post, we’ll have been over to Dubai and have started our African adventures so stay tuned… bring on the Safaris!